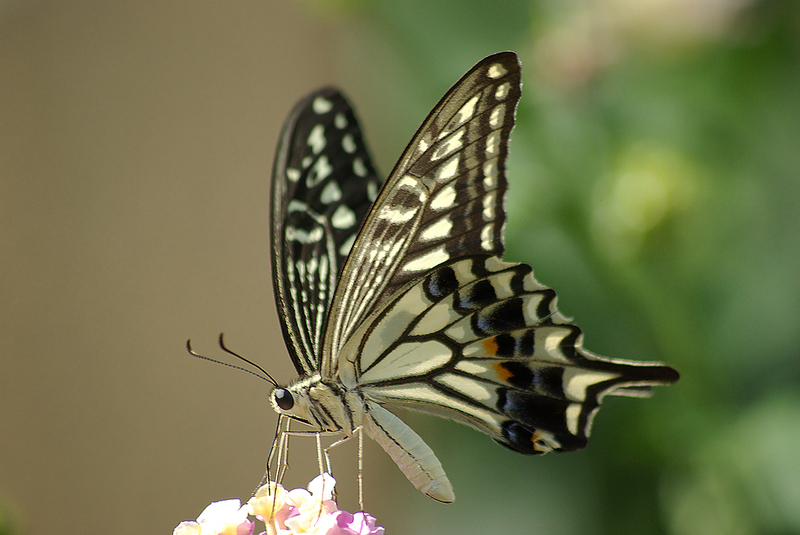 The Papilio xuthus has an interesting chemical defense system which is why we chose this particular organism. This defense system comes from papiliocin. Papiliocin is an anti-microbial peptide that also has anti-inflammatory properties (Kim et al. 2011). Anti-microbial peptides are part of the innate immune system. These peptides kill pathogens that invade the organism. Researchers have looked at how this peptide affects different cells. When looking at how papiliocin affected mammalian cells researchers discovered that it had low toxicity to these cells but when looking at how papiliocin affected bacterial cells it had a high toxicity (Kim et al. 2011). This can be due to the fact that some bacterial cells can be very harmful to the butterfly resulting in the specific defense system. When researchers looked specifically at how papiliocin interacted with bacteria they discovered that this peptide worked better against gram-negative bacteria like Escherichia coli and Pseudomonas aeruginosa then it did on gram-positive bacteria. Researchers also looked at how this peptide kills bacteria cells. They determined that the papiliocin permeated negatively charged phospholipid membranes which are found in bacteria cells. This results in the papiliocin being selective towards bacteria cells. The papiliocin will then attacks the cell membrane and eventually kills the bacteria (Kim et al. 2011). This research can be valuable in discovering new peptide antibiotics because this peptide is very efficient in killing bacteria and it has no effect on mammalian cells. In another study done to see how papiliocin affects certain cells, researchers looked at how this peptide affected fungus cells. They wanted to see if papiliocin could be used as a peptide to treat fungal diseases. Researchers discovered that the papiliocin affected the cell membrane of the fungus just like it did in bacteria cells (Lee 2010 and Kim 2011). Researchers could not identify the exact mechanism the papiliocin used to invade the cell membrane but they did conclude that this is how the peptide killed the cells (Lee et al. 2010). Researchers also noticed that the papiliocin did not affect the human cells which could make it a good peptide for antibiotics against fu ngal diseases (Lee et al. 2010). Another group of researchers also looked at how this peptide affected fungal cells but specifically looked at yeast. 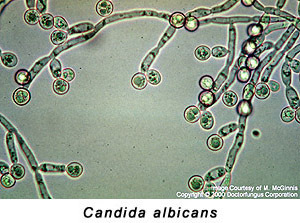 The type of yeast they looked at was Candida albicans (Hwang et al. 2011). Researchers wanted to see how papiliocin killed yeast cells. They determined that when these cells are introduced to papiliocin that was derived from the P. xuthus it caused the cells to produce two substances. The cells produced reactive oxygen species and hydroxyl radicles which are used in apoptosis in the C. albicans (Hwang et al. 2011). They noticed that the papiliocin affected the cell membrane and damaged the DNA. They determined that the damage to the DNA was due to the cell undergoing apoptosis. This showed that when the cells are introduced to papiliocin they will undergo programmed cell death (Hwang et al. 2011). In conclusion papiliocin that is derived from the P. xuthus can attack cells in two ways. It can kill the cell by permeating the cell membrane and then killing the cell as seen in Kim et al and Lee et al. Papiliocin can also kill the cell by inducing cell apoptosis as seen in Hwang et al. With this research scientists can discover new drugs that are made from papiliocin. Click on the studies to learn more about them. Structure and Function of Papiliocin with Antimicrobial and Anti-inflammatory Activities Isolated from the Swallowtail Butterfly, Papilio xuthus. Influence of the papiliocin peptide derived from Papilio xuthus on the perturbation of fungal cell membranes. Induction of yeast apoptosis by an antimicrobial peptide, Papiliocin.